*** Shipping prices are for USA addresses only. Please fill out the contact form for international shipping. 6.5% sales tax added for Ohio Residents. Have questions? I am happy to help. Just use the contact form and I will typically reply within 24 hours. 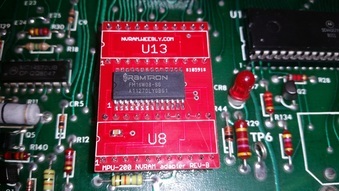 WMS games unlock the RAM chip by monitoring both the 12v and 5v supply. Switching power supplies start up sequence may not match the timing of the linear power supply which can cause RAM corruption at power up/down. 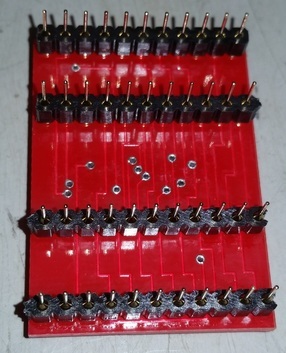 NVRAM modules only guaranteed to work with original linear power supplies. 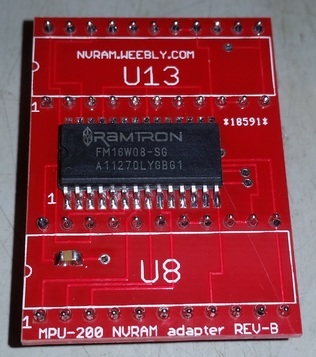 MPU-200 NVRAM adapter 1pc $18 + $3 shipping.